We have been working together for over four years on a USDA-NIFA funded project called Useful to Usable (U2U) that is developing climate information for corn producers in the North Central Region (http://www.agclimate4u.org). As part of this project, we have conducted surveys with farmers, Extension personnel and agricultural advisors. 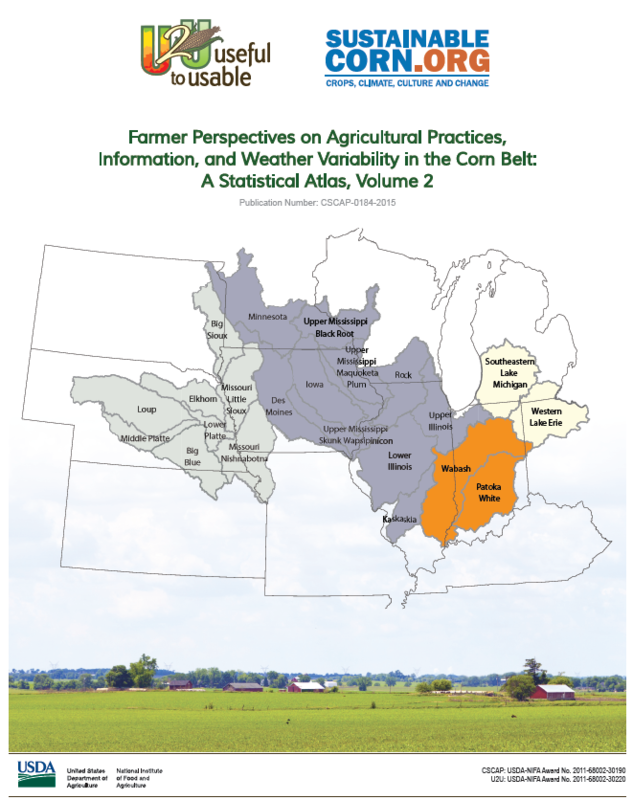 We have broadly defined agricultural advisors for the purpose of this study and surveyed state agency staff (Departments of Agriculture, Departments of Environment), Federal agency staff (NRCS and FFA), county agency staff (Soil and Water Conservation Districts), agricultural bankers, Certified Crop Advisors, input dealers among others. Surveyed farmers managed over 80 acres of corn and grossed $100,000 in 2011; operators of small farms are not included in this analysis. Extension educators surveyed were in agriculture and natural resources program areas. 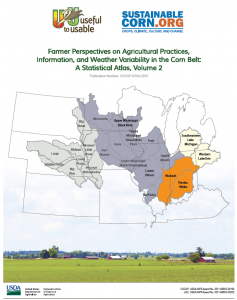 These surveys revealed several interesting findings that suggest new directions for Extension in our region.